Last year, Santa got his very own Google Voice number, and people around the U.S. received a special personalized holiday phone call from Santa Claus. This year, Santa wants you to reach out to him (after all, reindeer are only so-so conversationalists). If you or your family members have a special request for Santa, you can call him right from Gmail* and leave him a message at his Google Voice number: 855-34-SANTA. Santa won’t be able to return messages himself–it’s a busy time of year for him–but he’s promised to keep us up to date on happenings in the North Pole day by day. You also can create and send a unique, customized phone call from Santa to anyone you know, from your nieces and nephews to old college friends, over the phone (to U.S. numbers only). 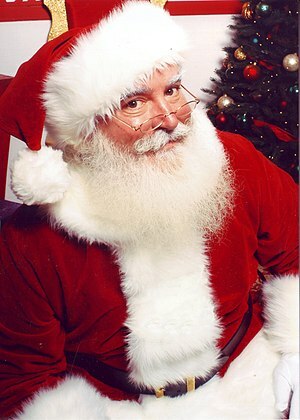 Listen to a sample phone call, and send a message of your own from SendaCallFromSanta.com. *Calls from Gmail are free for U.S. and Canadian users, but will cost people outside those areas $.01/minute (plus any applicable VATs). The Internal Revenue Service in coming days will release a new information reporting form that taxpayers will use starting this coming tax filing season to report specified foreign financial assets for tax year 2011. Temporary regulations have been issued for IRC 6038D reporting legislated by the Foreign Account Tax Compliance Act (FATCA). U.S. taxpayers will file Form 8938 with their individual income tax returns starting this coming tax filing season if their specified foreign financial assets exceed certain thresholds. Jim Calloway has been around for awhile, so when he says these are ten (10) web sites lawyers should know about, smart practitioners should pay attention. He covers 10 essential websites (or classes of websites) for lawyers without referencing Google or some of the more obvious sites. Click here for Jim’s picks. With the FindLaw Legal News App you can access legal news and information any time of day. Need a lawyer? They’ve got that too with their online lawyer directory at your fingertips.
. As a followup, on December 13, the Judge entered Final Judgment on the verdict. With pre-judgment interest, the Judgment totals north of $2.66 mil. The per diem post-judgment interest alone is $877. Some asked what apps, and technology I used in the trial. My client is a small produce company in South Texas, who sold over 37,000 20lb boxes of grape tomatoes to Defendant1 through a broker, Defendant 2 (To give some perspective, you would need 21 18 wheelers to haul that number of boxes). The suit was originally filed as a suit on sworn account for the nearly $500,000 owing on the 20 invoices. With the passage of time, however, my client’s damages increased – my client lost multiple planting seasons due to lack of money, because they weren’t being paid. (Literally their seed money). The jury returned a unanimous verdict finding Defendant 1 had failed to comply with the agreements to purchase the grape tomatoes, and was negligent. Jury awarded $2,332,596.44 in damages for the failure to comply, and awarded the same amount for the negligence. , Description of the document, when it was served, etc. As an aside, couple of times during trial, defense counsel tried to object to a particular exhibit on the grounds that I hadn’t produced it. The judge looked at me, I checked that database on the MacBook Air, told him we had produced it, gave him the date of production, and what I produced it in response to (2nd Request for production for instance). Judge overruled objection. Defense counsel quit making those types of objections. Those types of objections ended pretty quickly. DepoSmart was absolutely critical to the cross-examination of Defendant 1 and its employees. I had taken their depositions, imported the transcripts into DepoSmart, created issues, and annotated the transcripts. As trial approached, I printed hard copies of Annotation reports, using the Annotation List feature. I used the Annotation reports to prepare each witness’ cross-examination. I organized the cross-examination generally around the issues I had created in DepoSmart, and used Word to create an outline, inserting a Page break after each outline/issue topic. Bullet points within each outline topic incorporated the testimony from the annotation report, complete with Page/Line reference. So when the question was asked at trial, and the defendant denied saying that, I had the precise page/line reference ready to impeach them with their prior testimony. 2 employees from Defendant 1 testified live at trial, and both were impeached a total of about 10-15 times with their previous testimony. Without DepoSmart, that would have been much more difficult, and far more time-consuming to do. With DepoSmart, you can easily slice up a long transcript into manageable pieces, and impeachment of a witness with their prior testimony, especially multiple times of the same witness, probably caused the jury to disregard that witness’ entire courtroom testimony. As for the technology, I used a combination of old school and new school. Before trial, I put all of the Exhibits I intended to introduce at trial in a large 3 ring binder, with the numbered tabs corresponding to my Exhibit number. For instance, Tab 1 was Exhibit 1. I took that binder to FedEx Office/Kinko’s and had them make 2 other binders exactly the same, one for the Judge, so he could follow along, and one for the Witness, which doubled as the official court set, which went with the jury during their deliberations. Air at my desk at all times. I created a folder, and moved PDF’s of all of my Exhibits into that folder so that, using Spotlight (in the Mac OS), I could type in “Plaintiff Exhibit 1,” and it would appear in Adobe Acrobat. I could project that exhibit onto the wall so the jury could follow along as the witness was referring to the hard copy in the witness binder. I also gave the witness a laser pointer if they were referring to the projected exhibit, so the jury could follow along. Occasionally, during trial, I would use the Index feature of DepoSmart to find a word or two in a transcript that would instantly lead me to the Page/Line of testimony that I was looking for. My projector was an older Epson VGA style. (Next up will be a new projector with HDMI so I can go wireless with Apple TV2 & Airplay). , to connect my MacBook Air, or iPad 2 to the projector. With that cable, I could control the presentation from counsel table, instead of being tethered to the projector. I had seen several folks recommend that, and I picked one up off the internet (VPI?) for about $25 shipped. Worked great. I used the Air to play video depositions of witnesses, which I had previously edited down in iMovie, or to project Exhibits as previously mentioned, or to project Keynote slides of certain key information. I used Keynote slides like some lawyers use paper flip charts during trial. That allowed the jury to write down in their notepads what was on the slide. (the judge had earlier granted my pretrial motion to allow each juror to take notes, which the defense opposed). I also used an iPad 2 during trial and during closing argument. Before trial, I loaded the same folder of Exhibits into the TrialPad app. During trial, I would use TrialPad to project an exhibit or a picture. I used TrialPad’s impressive call-out tool a couple of times as well. I ran Keynote off the iPad during closing argument to show about 4-5 slides, mainly organized around the jury questions in the Court’s charge. One of the slides, for instance, entitled “For Jury Questions 2a, 2b, and 4a, 4b” would have a bullet point – See Exhibits 71, 72. It was nice to see during my close the jurors write down what was on the slide, and that probably helped in their deliberations. After a 6 day trial, they needed only three hours to return their verdict. But I knew that in closing argument I wanted to be able to play parts of a witness’ testimony, so I brought my 24″ Apple LED Display from my office, put it on the witness stand, and connected my Air to it. I had about 6 video clips, which had earlier been played or used during the trial. And when I got to that part of my close, I would step over to the Air, double-click the QT movie of the testimony, and play it for the jury through the Display speakers, which were being picked up by the in-courtroom PA. I think it added to the presentation, because I was able to do more than just tell the jury what was said, I was able to let them see and hear what the witness had said. That is what worked for me, and of course was informed by the collective wisdom of this list that I have benefitted from over the past 3-4 years. I’m happy to be able to give back a portion of what I have received. 603 E. St. Charles St.
iPad tip: transcripts in trial – iPhone J.D. Read this excellent, step-by-step, “how-to” article, with graphics,in full here.